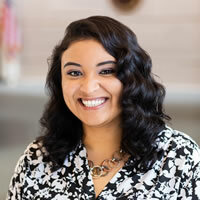 Liana Acevedo began her career in Hospitality Management with Hyatt Hotels after graduating from VA State University in 2014. Her experience in operations and sales, made for a smooth transition into the DMO world, with Richmond Region Tourism. Liana has recently been recognized in the Destinations International 30 under 30 program, earned her Certified Meeting Professional designation from the Events Industry Council & has been named a 2018 Supplier of the Year Rising Star* by Smart Meetings.